The world’s biggest marathon takes place on Sunday despite the deadliest act of suspected terrorism to strike New York City since planes hit the Twin Towers in 2001. With trucks now being used to cause carnage, security forces are blocking off roads as part of painstaking efforts to keep runners and residents safe. “We have more than doubled our observation teams, our rooftop observation posts as well as our counter-sniper teams from the Emergency Services Unit throughout the boroughs, not just here in Manhattan, “ NYPD Chief of Department Carlos Gomez told journalists. ISIL claimed responsibility for last week’s truck attack that killed eight people in lower Manhattan. An Uzbek immigrant is in custody accused of mowing people down on a popular bike path. New York though will not be cowed. 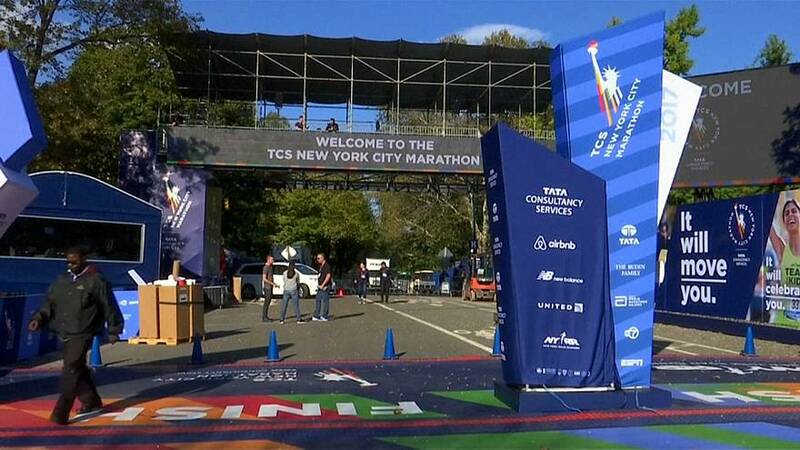 “New Yorkers are resilient and I think they love to make statements and this is a way to make a statement, to come together and show the world that… we don’t hide and we can’t be put down,” said race director Peter Ciaccia. Last year, more than 51,000 people finished the New York Marathon which was first held in 1970 when it was run entirely in Central Park.